This time, we’re looking at (most of) the new shows that have come out in the last week: “Life in Pieces,” “Minority Report,” “Blindspot,” “Best Time Ever,” “Scream Queens” and “Limitless.” We’ll get to “The Muppets” in part two. One-sentence summary: A series of short stories chronicles the exploits of different arms of the extended Short family. 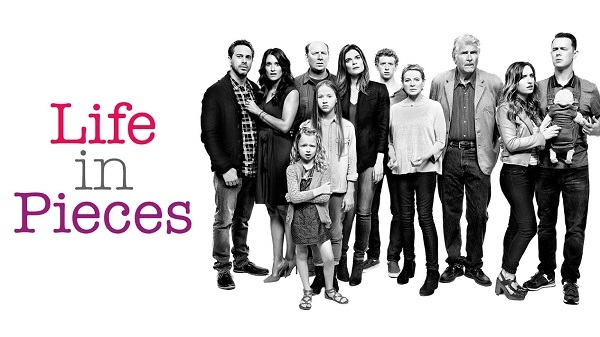 “Life in Pieces” is an odd duck. Its four short stories are notable because they have no real arc. Instead, they read more like individual sketches, each one succeeding or failing on their own build and payoff, as well as performances mostly unique to an individual segment. The rhythm of the show is hard to adjust to, but once you do, it’s fun to watch the exercise. It’s hard to know how the show will proceed going forward, as it doesn’t establish a real story hook in the first go-round. We don’t even know if the central players in the pilot – family heads John (James Brolin) and Joan (Dianne Wiest), along with their children and children-in-law Matt (Thomas Sadoski), Greg (Colin Hanks), Jen (Zoe Lister Jones), Tim (Dan Bakkedahl) and Heather (Betsy Brandt) – will be in every episode. However, the pilot is good-natured and silly, and there’s a spark of life that could portend well for the future. Most of the potential comes from the third story, in which Tim and Heather drop off their son (Niall Cunningham) for a college visit while dealing with other, younger milestones faced by their daughters (Holly J. Barrett and Giselle Eisenberg). Bakkedahl and Brandt have an easy chemistry, and a mildly shocking revelation from Tim to kick off the story will either endear you to the family or turn you off immediately. I’d be interested in following a sitcom about their family unit alone; I’m just not sure yet how the others will play out. One-sentence summary: Following the events of the 2002 Steven Spielberg film, a murder-predicting precog uses his psychic power to fight crime in the future. “Minority Report” the show plays like the folks behind it watched “Minority Report” the movie and thought, “No, that’s all wrong! I should fix it so that arresting people for crimes they haven’t yet committed seems like a great idea!” Indeed, when precog twin Dash (Stark Sands) decides to move back to Washington D.C. to catch would-be murderers on his own (with the help of a D.C. cop played by Meagan Good), it seems the show’s argument is that the only thing wrong with the system was that the three crime predictors weren’t given the choice to volunteer. And honestly, that’s a fair argument. In the future murders viewers see in the film, the perpetrators could reasonably be charged with attempted murder or second-degree assault. However, if you disagree with the original “Minority Report’s” argument, your best avenue is probably not to remake it in such a way as to cast the deceitful villain of the movie as ultimately correct in his motives. 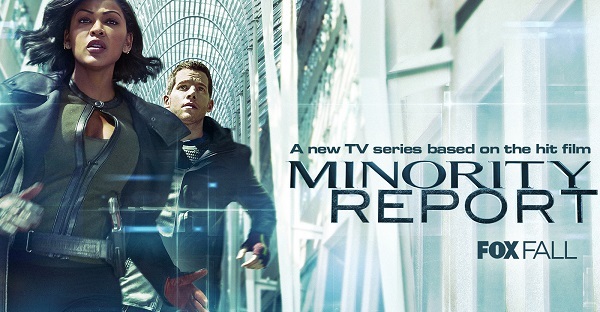 Even besides the strange logic at the show’s core, “Minority Report” also fails on a basic craft level. There are a few good jokes about the future (that “Simpsons” gag you’ve probably already heard is the best one), but the acting is wooden, the crime foreshadowing is obvious and rote, and the bantering procedural atmosphere is cliché. It’s dull, misguided and dumb. One-sentence summary: The FBI follows crime-predicting clues tattooed on the body of a naked amnesiac (Jamie Alexander) found naked in a duffel bag in Times Square. I’ll give “Blindspot” this much: the esoteric tattoos covering Alexander’s body keep your attention and are beautiful and striking in their own way. Also noteworthy is the pilot’s direction, even if much of it is shot like a Bourne film. In fact, therein lies one of the show’s central problems: beyond the initial “woman gets out of a duffel bag” moment in pilot’s opening minutes, everything about this feels like a Bourne movie, from the amnesiac origins to the special ops training “Jane Doe” forgets she has until the moment she needs it. 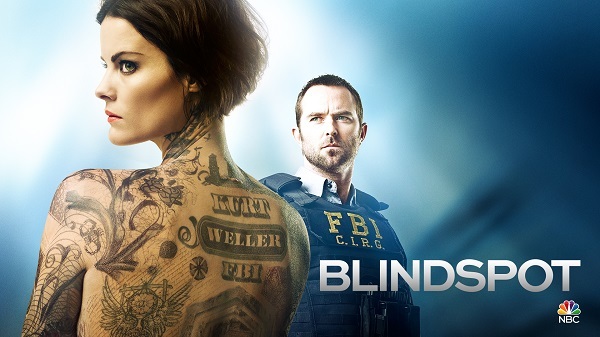 Bourne similarities notwithstanding, however, “Blindspot’s” biggest sin is that it’s kind of dumb, and it calls attention to its own stupidity in all the wrong ways. In addition to much technobabble and stock FBI lines that have been heard on a thousand high-concept procedural shows before – at one point, the operational director played by Marianne Jean-Baptiste utters an exasperated “Who is this woman?” – the show’s rules for what Alexander remembers are impossibly muddled. For example, if she doesn’t know who the president of the United States is, how does she know what a president is or what the United States is? How can she not know who The Beatles are but have a perfect understanding of her Miranda Rights? There are some bright spots. Alexander gives a credible performance as a woman trying to reclaim an identity for herself, and FBI leading man Sullivan Stapleton tries to distinguish himself as a gruff agent who also appears to have some social anxiety, but the series’s core problems and procedural nature (a format I’ve rarely been able to enjoy) will likely keep me from tuning in unless this fall provides a singularly dull crop of new shows. One-sentence summary: “Glee” and “American Horror Story” creator Ryan Murphy melds his two shows with a camp take on the horror story, as a serial killer picks off college students associated with a particularly shrewish sorority house. The two-hour premiere of “Scream Queens” recalls a college-set “Mean Girls,” if “Mean Girls” never heightened and just told the same joke of “aren’t these girls terrible?” for its entire running time. Though there are a few good potshots to be had at the expense of millennials in general – by far the best scene is when the devil-costumed murderer offs one of the sorority sisters as she texts him to please stop – satire of vapidity is only good if it’s executed with acerbic wit, not simple bile. With the comedy a mostly dry vein, all that’s left to “Scream Queens” are the scares and the gore. While the gore is pretty gross for a network show – one woman gets her face burned off after she’s forced into a deep fryer – the show isn’t particularly scary, and the gore doesn’t really work on a joke level, either. The whole thing is just a boring muddle, padded to double size with scenes that come and go with little differentiation or purpose. I’ll be the first to admit that I am not the target audience for “Scream Queens.” I don’t like horror, and the little I’ve seen of Murphy’s work is decidedly not for me. However, it’s hard to see how this pilot could be for anyone, dull as it is and limited in its horror aspirations by network constraints. Add a dollop of other problems, like the show’s tendency to claim advocacy for outsiders even as it mocks them, and you’re left with a mess. One-sentence summary: Neil Patrick Harris hosts a live variety show and coasts on his charm. 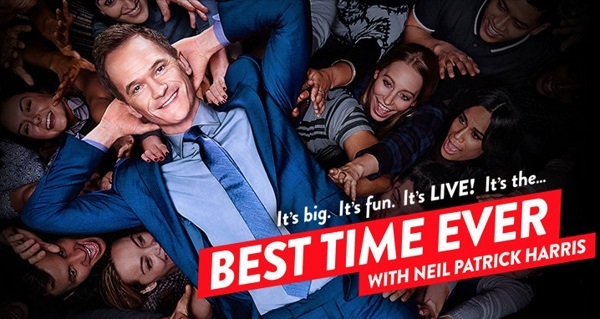 To be fair, “Best Time Ever,” which leads into “The Tonight Show with Jimmy Fallon” on Tuesdays, is not best consumed the way I did, live on TV in one unbroken viewing. Instead, it seems like an attempt to use Harris’s stardom to replicate Fallon’s success as an Internet icon. I’ve never watched a whole episode of Fallon’s “Tonight,” but I’ve seen plenty of funny segments on Hulu and YouTube, and that may be the goal of “Best Time Ever,” which deluges its audience with BuzzFeed-ready clips of him climbing an obstacle course, photo-bombing a wedding and back-flipping off of a pogo stick. Perhaps if I’d seen the show as individual clips, it wouldn’t have grated on me as much. “BuzzFeed-ready” really is a good way to describe the show, with its empty superlatives, “You’ll never believe what happened when” segment premises and a smug reliance on the assumption that audiences will be wooed by Harris’s star power regardless of what he does. Some of the show’s antics are fun, but celebrities goofing off at random, even if they’re celebrities I like, can’t hold my interest for too long. One-sentence summary: In a sequel to the 2011 film, a deadbeat musician named Brian Finch (Jake McDorman) discovers the powers of NZT, a drug that supercharges the brain and allows the user to perform amazing mental feats. “Can you remember what it feels like to be inside your mother’s womb?” Bradley Cooper’s Eddie Morra asks Brian two-thirds of the way through the “Limitless” pilot. As Cooper, reprising his protagonist role from “Limitless” the movie, explains the astonishing powers of NZT, the camera cuts to a CG shot of a baby in utero – one that looks toward camera and continues to deliver Morra’s monologue. It was then that I smiled in recognition; the makers of the “Limitless” pilot understand what made its namesake so memorable. “Limitless” the movie isn’t great cinema, but it is a profoundly weird film. What starts as a serious update of “The Computer Wore Tennis Shoes” quickly morphs into something unexpected, an experience that tries, mostly successfully, to get you to root for an ethically-gray loser who uses an ice skating preteen as a melee weapon and drinks another man’s blood in order to gain his brain power. 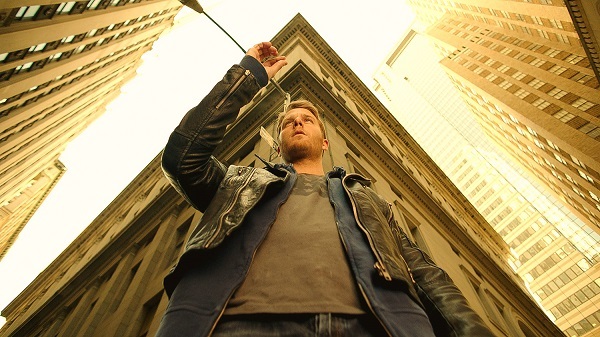 Unlike “Minority Report,” “Limitless” realizes its forbear’s strengths and runs with them, aping the movie’s stylistic choices, its protagonist’s dubious character and, most importantly, the weirdness of a world viewed through NZT’s consciousness-altering filter (in a wise move, the show takes a less specific approach to the nature of NZT’s effectiveness, as the movie’s explanation of “using 100 percent of your brain” was widely mocked as urban legend after the similarly-plotted “Lucy” hit theaters). “Limitless” the movie is not for everyone, and “Limitless” the show won’t be either, but I had a lot of fun watching a pretty silly hour of Brian’s origins on Tuesday. That said, I’m a little reticent to watch more, because the episode’s end sets up Brian to be an FBI contractor for future episodes – in other words, it’s likely going to be a procedural show. Still, I’m going to give this one a try for at least another episode or two, in the hopes that the format doesn’t dull a solidly entertaining premise.